Today we visited The Louvre. It was amazing seeing all of the artwork. We then went and explored the Lafayette department store and had lunch in the food court. The store is spread out over 3 buildings. Tonight we have our end of tour dinner, we are all looking forward to it, but sad that our tour is coming to an end. Today we have had a great day in the French capital with sunshine and mild weather ! We did some really cool stuff like climb the Eiffel Tower, visited the Luxemburg Gardens, Notre Dame, love lock bridge and had dinner on the Famous Champs Elysee by the Arc ! More updates from our final days of the tour tomorrow. 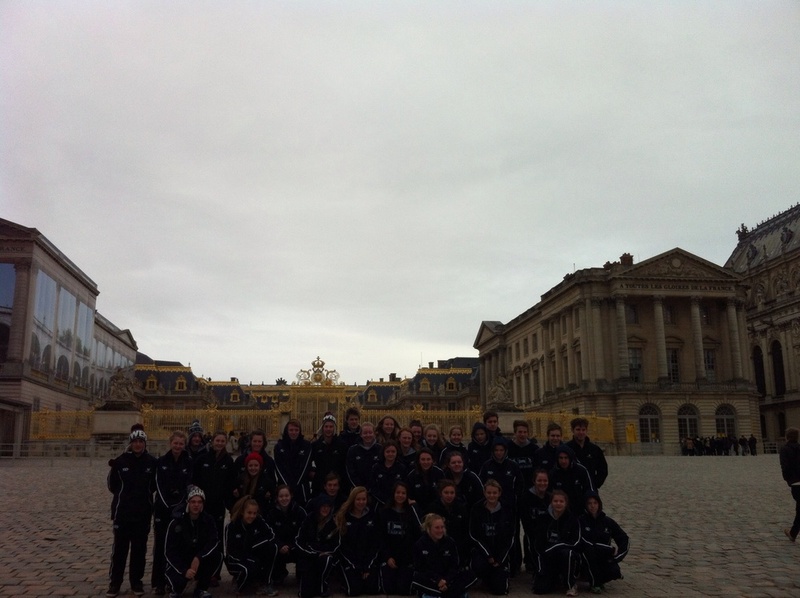 Today we visited the palace of Versailles and admired its beauty and elegance. We then played games against our French hosts in the evening. Both girls teams fought hard and the boys recorded another come from behind victory. Everyone is very excited to visit Paris tomorrow. Today we said goodbye Belgium and began our travel to France. On the way we visited some war memorials to Australian soldiers. We were very lucky to have a fantastic guide take us around the area. For some of us we got to see snow for the first time, luckily the sun came out for us at Villers-Bretonneux. We then made our way to meet our new hosts before we visit Versailles tomorrow. Good morning all parents and friends. The guys have very limited internet access which is very slow, making it difficult to set updates. We can report that they are safely in France with their hosts and having a great time. Yesterday, they had a brief stop in Belgium , sightseeing around Antwerp and playing against their hosts. 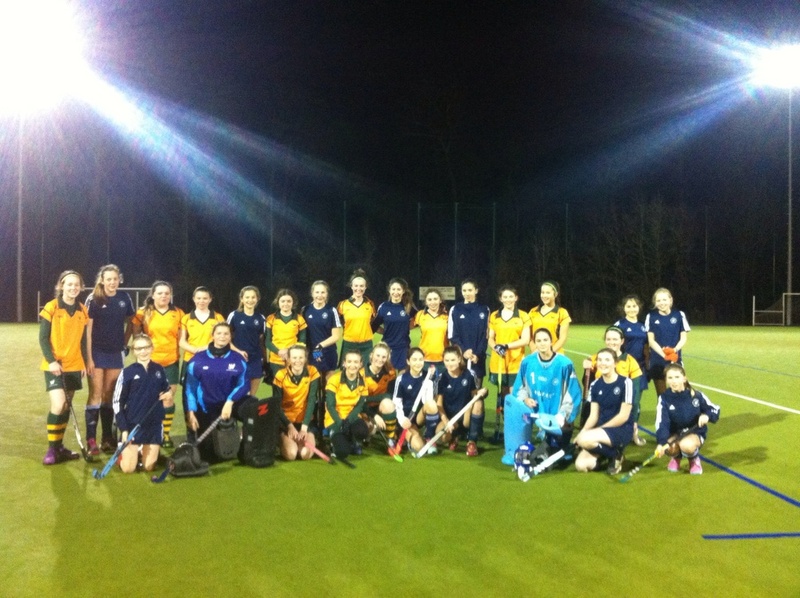 Both girls teams went down 2-0 and 1-0 respectively, whilst the boys finally cracked that win with a great 5-4 win ! More photos here and on facebook and instagram soon. Today the guys paid their respects to our fallen ANZACS in the Somme and are now with their French hosts. More updates soon. Today we went to the Airborne Muesum. We were able to look around the grounds too as the rain held off. We then payed our respects to the soilders at the Airborne memorial. We had lunch in the town of Arnhem before seeing The Bridge Too Far and heading to our hockey matches. The games were all very exciting and tough games. The boys finished off losing 5-4 after being down 4-1 at half time. A great result. The girls had one win and one loss. Both were very close games and could have gone either way. All the teams played really well today and will all be very happy with themselves tonight. 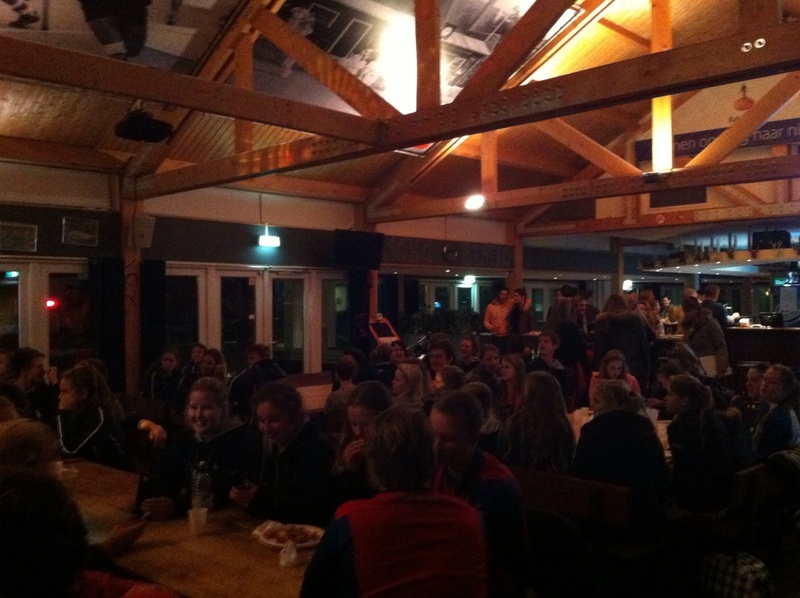 After dinner at the hockey club we are heading home with our Dutch hosts. Today we visited the clog and cheese factory. We watched a clog making demonstration and got to sample lots of tasty cheeses. We visited the seaside town of Volendam for lunch before heading to our hockey matches. 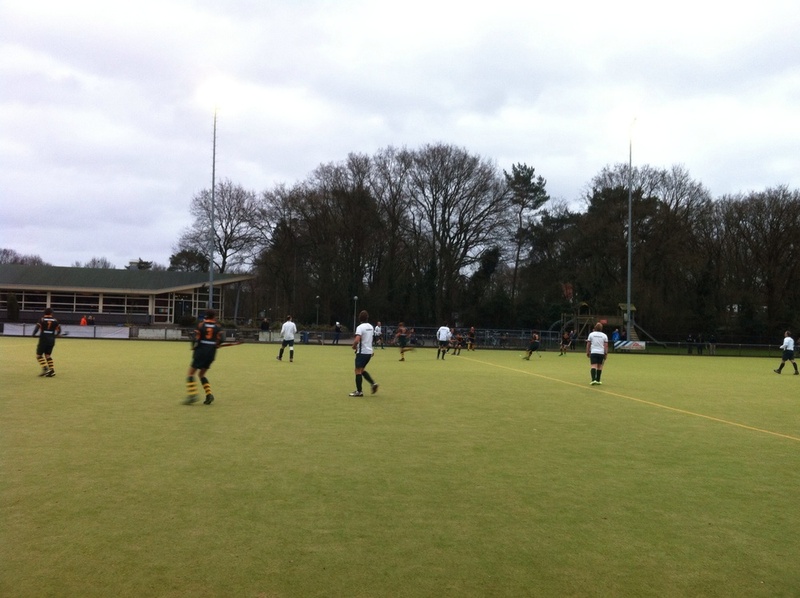 The boys got to play 2 shorter games, one against the clubs 1st team and one against the x-1st team. They went down in both matches 6-0 and 5-2. 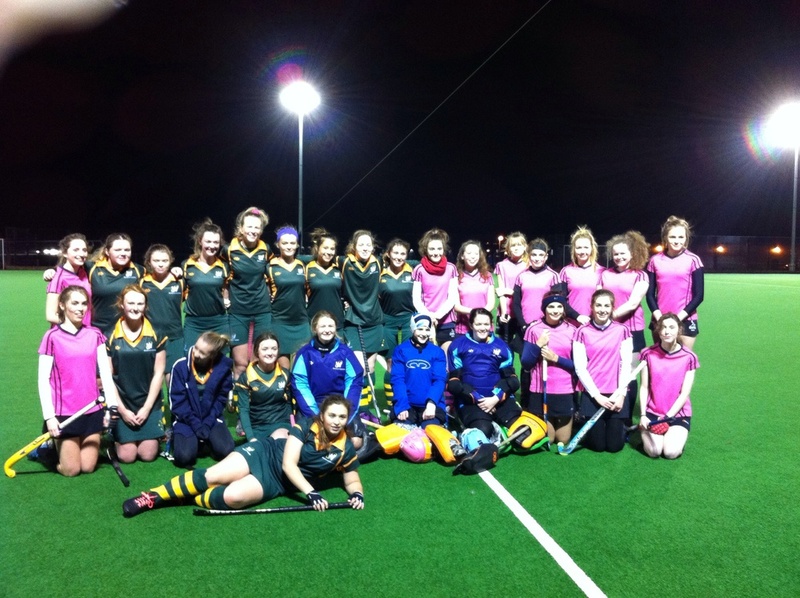 The girls both played full matches against the junior teams. The girls finished up the tough Dutch matches losing 5-0 and 4-0. We are all excited for our next game in Holland! We arrived this morning to a very windy Holland. We visited Amsterdam town square before making our way to Anne Frank's house. Tonight we had an early night after a few big days of traveling to get ready for our first game in The Netherlands. Today we made our way towards Harwich to catch our ferry to Holland. On the way we visited Windsor Castle, the Queen was not home. After that we wandered down Oxford St looking at the lovely shops. We are spending the night tonight at sea. Today we said goodbye to our hosts and made our way to Warwick castle. We visited the dungeons which were very scary! Everyone will have some good stories to tell about their experienced in the dungeons. We then spent a short time exploring the town of Warwick before heading to our games. 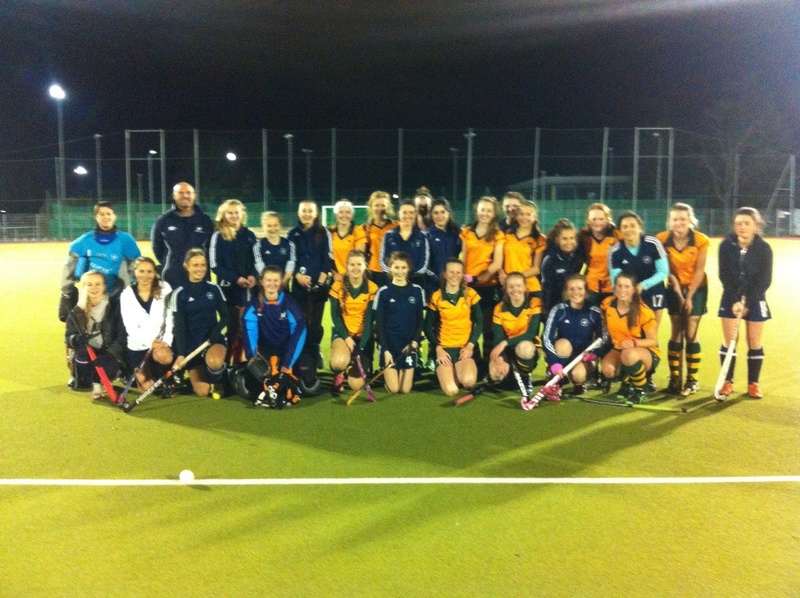 The girls had a 2-2 draw and a 5-1 loss to some very strong opposition. The boys had a great game, unfortunately finishing 3-2 down. We are spending the night with our new hosts. Today we explored the bull ring in Birmingham town centre. We then made our way to our games via the sportology sports shop. All the games were excellent! The girls had a 0-0 draw and a 7-0 win. The boys had a tough game losing 2-1. Today we said bye to our hosts and made our way towards the Hollow Bottom pub for lunch. On the way we stopped off in a small village to look around. After lunch we enjoyed a tour from a local before making our way through the beautiful Cotswolds. 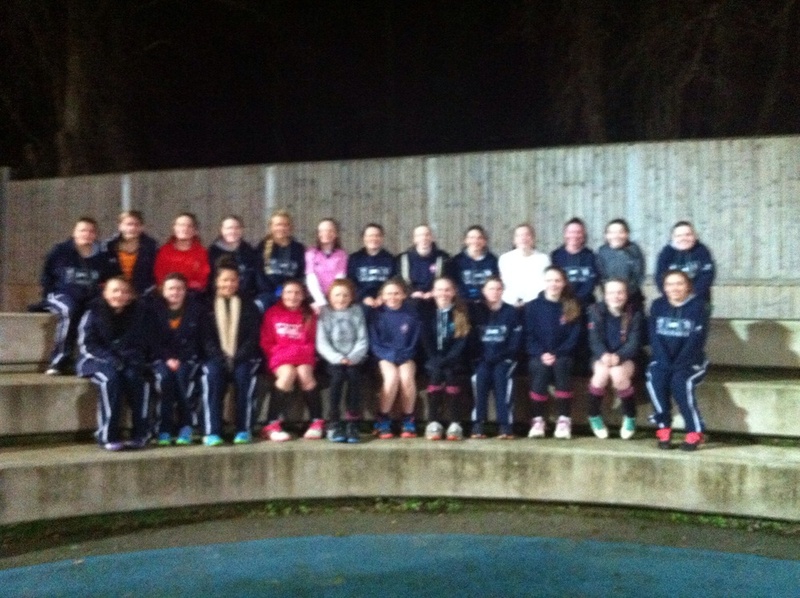 Tonight we are having a well earned early night before our next game tomorrow afternoon. Today we farewelled our hosts and travelled to Cambridge. We spent some time walking through the town. After lunch we set off to our 3rd game. Both girls games were very exciting, and the girls are very happy to both have their first wins! 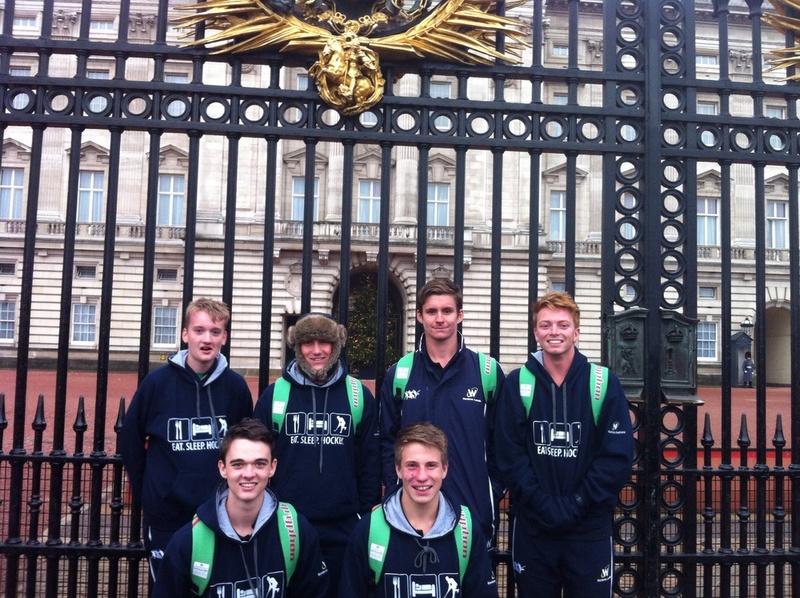 The boys played their hosts after enjoying some dinner with them and went down in a tight match. Tonight we are spending the night with our new hosts. We spent this morning with our billets before playing games this afternoon. The boys fought hard for a 3-3 draw. Both girls went down, 5-3 and 3-0. When we finished the games it was -3 degrees with ice and fog!!! Tonight we are spending another night with our hosts before heading to Cambridge tomorrow. After saying goodbye to our Brilliant first billets we visited the natural history museum in London. We then drove to our next port of call in the east of England to meet our hosts who we will spend tomorrow morning with, and play against in our second game tomorrow afternoon. After getting some well earned rest we headed into London on the bus and had our first session of Kangaroo court. We went to Covent Gardens and the Tower of London. 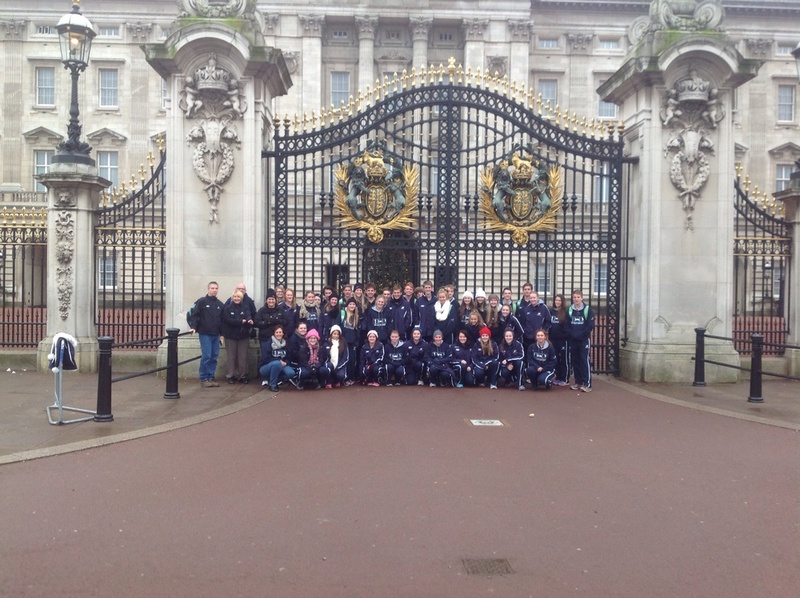 We lucky enough to take in some of the exciting sights while we enjoyed a cruise down the Thames. This afternoon we headed to play our first games. The boys went down 3-1 to a skillful opposition. Both the girls sides had losses, 4-0 and 1-0. Both games were very exciting! Well done to both teams, and have fun with your billets tonight! After a very long couple of flights we landed in London. 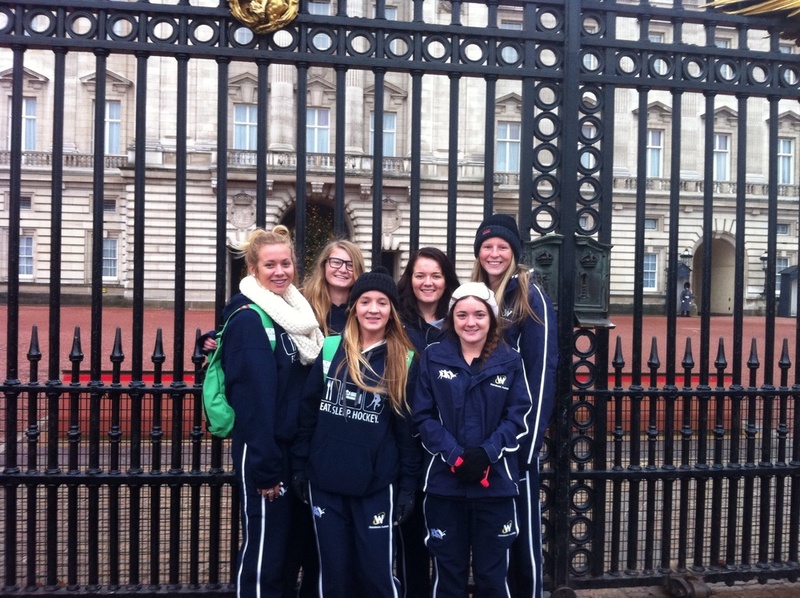 We spent the morning walking through London taking in some sights. After lunch we went to an English football game. After the game, we checked into our hotel for a well deserved early night. We are all looking forward to our first game tomorrow afternoon against Teddington, and meeting our first billets. 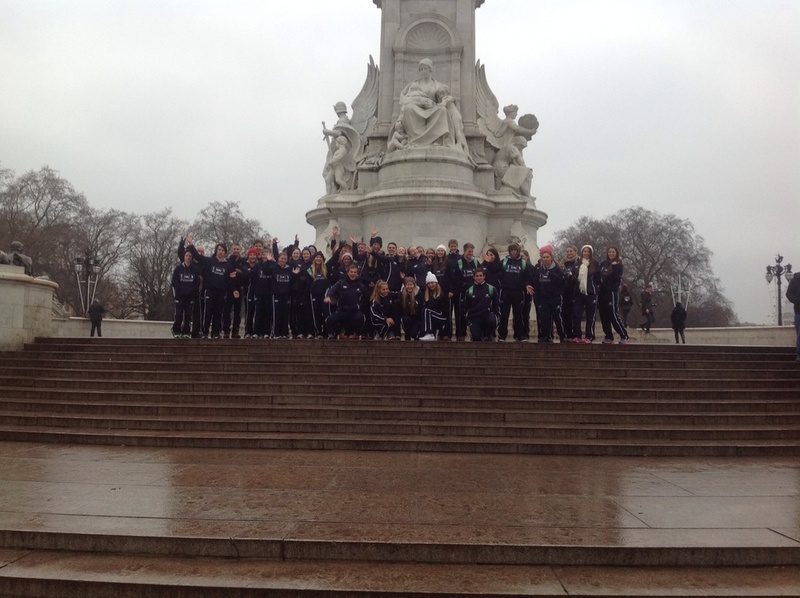 Just a quick note to let everyone know that the group has safely arrived into London. more Updates soon. Welcome to our first update. Everyone has safely arrived into Sydney and have now departed on the big Qantas A380 for London. More updates when they arrive into London !